Soon after the AGM, Debbie Grull gave notice that she was unable to take up her position on the SMC. A decision was made, under Rule 21.7, to offer the position to the next person on the pre-AGM ballot. The Returning Officer provided the information - Trent Huxtable. Trent has accepted the appointment and attended the meeting held on 13 March. Trent brings much knowledge with him and it’s hoped that he will take up a suitable role with specific responsibilities. 21.7 If a casual vacancy occurs in the office of ordinary committee member, the committee may appoint a member of the Association to fill the vacancy until the conclusion of the annual general meeting next following the date of the appointment. As from 18 March 2019, the Day Membership fee for Juniors will be reduced to $15. This brings the Adult to Junior Day membership fee ratio to about the same as for Full Membership. The purpose of the reduction is to make that first step into endurance $20 easier. ———— TEERA SMC - working to get more bums on saddles. The Annual General Meeting of Australian Endurance Riders Association Incorporated will be held on Saturday 16th of March 2019 at 8.30 am at Quality Hotel Melbourne Airport, 265 Mickleham Road, Tullamarine, Melbourne in the state of Victoria. 1. To confirm the minutes of the last preceding annual general meeting. 2. To receive and consider the Management Committee’s report and the Financial Statements for the year ended 31 December 2018. 3. To appoint ordinary members of the Committee. 4. To elect office bearers of the Association. 5. To receive and accept nominations of honorary members. 6. To appoint a public officer, honorary veterinarian and legal advisers as deemed relevant. 7. To appoint an auditor. 8. To transact any other business that may be brought forward in conformity with the rules of the Association. Please notify the Secretary if it is your intention to attend the meeting. TEERA has sponsored TQ19 with a Bronze Checkpoint Sponsorship to the value of $1,500. acknowledgement in the TQ19 magazine and each 2019 Sterling’s Life magazine. Tim Jensen, Pat Hodgetts, , Tetsje Elgersma, Chris Davis, Graham Bucknell, Diana Carroll. Other members of the committee unable to attend, Greg Burford, Donna Venn, Pat Lamprey, Megan A Campo, Annette Farrell and Tara Nicklason. Full details on the new SMC will be published over the next few days. There’s much to do to bring the newbies ‘on line’. Of immediate importance, especially given the start of a membership year and rides starting in February, are arrangements for membership renewals and log books etc. Memberships - Pat Lamprey will be taking a well deserved rest when Tara Nicklason takes over the reins once the necessary arrangements are in place. Pat has graciously offered to keep things moving until we’re sorted. So, for now, continue as before. Logbooks - Jill Hawks will continue to look after this portfolio until the path is in place for Raelene Smith to take over. Jill will have her hands full in her new role as Secretary immediately but will guide Raelene until she is ready to take over. Saddle fitting, different saddles for demo... some relaxation techniques. At the Annual General Meeting, to be held at 4.00 p.m.on 19 January 2019, the membership of the new SMC will be decided. It was agreed at the 2018 AGM that a system would be put in place to enable TEERA members not at the AGM to vote for SMC members, when a vote was necessary i.e. when there were more nominees than positions available. The order of names is immaterial but there must be five. Votes must arrive no later than 11 January 2019 and include the voter’s TEERA membership number.. PLEASE NOTE - THIS IS THE ONLY FORM OF VOTING AVAILABLE. THERE WILL BE A MOTION PUT AT THE AGM TO ADOPT THE RESULTS OF THE BALLOT AS THE ELECTION OF THE COMMITTEE MEMBERS. THIS NOTICE, PLUS A SIMILAR ONE ON THE TEERA FACEBOOK PAGE, IS THE ONLY NOTICE TO BE GIVEN. IF YOU KNOW A MEMBER WHO DOES NOT ROUTINELY VISIT EITHER OF THESE SITES, PLEASE BRING IT TO THEIR ATTENTION. TEERA has a first aid kit, including an AED - Automated External Defibrillator, which goes to each ride. Please plan ahead and get your Logbook related applications in early. There seems to be a small number of members who regularly leave things until the last minute, needing special arrangements to be made to get the documents back in time for a ride. In future, books, stickers etc. will normally only be sent out by post. 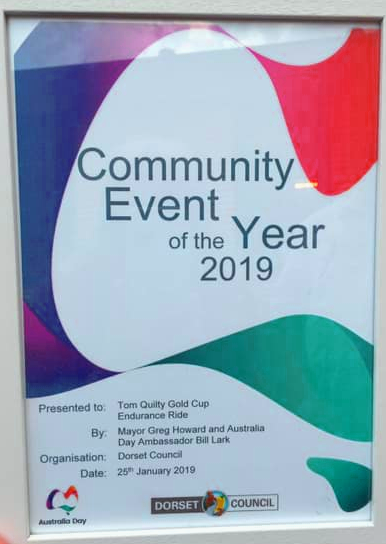 The latest posting to be in time for the Tom Quilty will be Wednesday 26th September. So, the latest that applications can be in the hands of the Registrar is Tuesday 25th September. There's probably people who may need to substitute a horse which might not have been registered this year, or the log book is full or nearly full. This may be an issue as the Quilty uses two pages. All clubs are reminded that intended dates for next years rides are to be with the Secretary by next SMC meeting - Wed 12th September. Some clubs have submitted these in conjunction with ride returns. Last month the TEERA SMC tried to bring on board some more resources to move TEERA in the direction voiced by a small number of members. So far, very little has been achieved. Only one member has put up her hand. That could be because most members are happy for things to continue as they are or because we didn’t shout loud enough. So, here’s a second shout. The information hasn’t changed. It was published here about a month ago. The bones of it is that we wish to set up some sub-committees to move things forward, in the direction some have said we should be going and the SMC agrees it would be good to go. To do so needs ideas and work. Your elected SMC is fully engaged, to different levels depending on personal circumstances, keeping your business on the rails. We understand that other members are giving all the time they have for endurance riding, by making rides happen for others to enjoy. Your TEERA Secretary (along with lots of other jobs), Pat Hodgetts is waiting to hear from you, saying you are available and which of the above is of interest. Time is running short for some of these issues. Whilst we’re at it, we also asked that those with either a first aid ticket or a chain saw licence let the web master know. That’s so ride organisers will know they have resources available if needed. The response so far has been only from SMC members. Contact details for Secretary and Webmaster are available on the Contacts page.. I look forward to hearing of your interest. chainsaw operators certificate - AHCMOM213 Operate and maintain chainsaws, or equivalent. 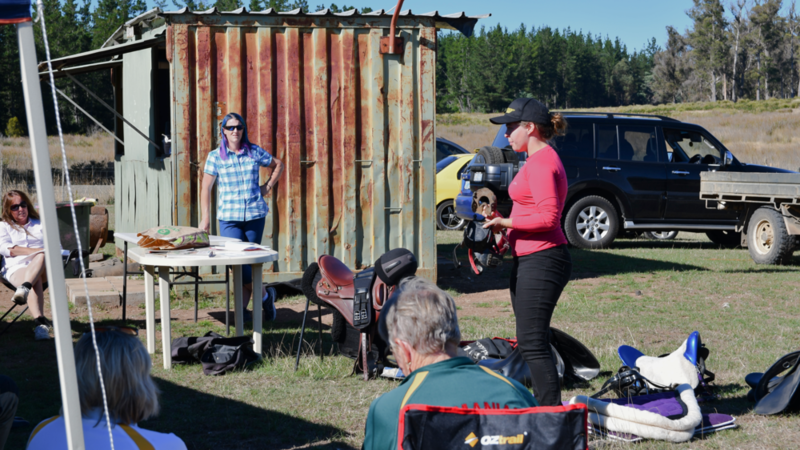 If you have either of these qualifications and would like it made known to ride organisers, please email web@teera.asn.au with details including, in the case of first-aid, the expiry date of your certificate. 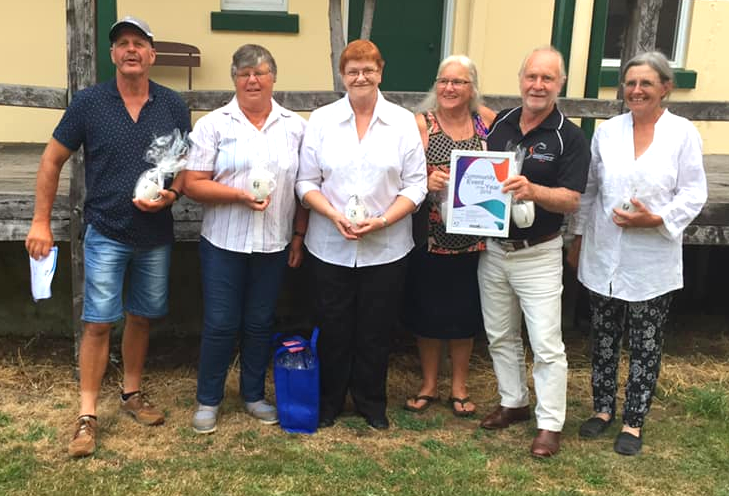 This meeting, open to all clubs and members, was attended by SMC members and seven others – Graham Bucknell, Greg Johnson, Tracy Nutting, Shayne Williams, Andrew Miles, Seline Lee, and Laurie Nicolle. Three written submissions were also received; from Tara Nicklason, Mark Dunn and Pam Shadbolt. A range of matters, suggestions and ideas were discussed. Some were rejected by the meeting for various reasons. Others were promoted for further considerations and others modified to be worthy of consideration. 4. Improve the sense of member representation. An early issue identified was that expectations of the SMC's capability were not realistic, in that additional work on top of that already involved is not possible. As a whole, the committee is fully, if not over extended already. Individually, the work loads , capabilities and time available vary greatly. In some cases, the work load of combined SMC and other endurance related tasks is not sustainable. The effect of this will be felt at the end of the year when five SMC members will be at the end of their two year term and may choose, or have chosen, not to renominate. To recognise this situation, but to have a way ahead, it was decided that positions on several sub-committees will be offered. These sub-committees will develop and recommend the way ahead, including how the objectives will be achieved, plus identifying and gaining the agreement of the necessary and competent resources. The work of some needs to start in the very near future to meet time constraints. 5. TEERA teams (information will be provided separately). Re. Objective 1 – Reduce the cost of membership, it was decided that the TEERA take of membership charges should not be reduced if member services were to be maintained. a) From 2019 the payment of ride insurances by TEERA would be extended to cover all rides, from currently covering a club’s second and subsequent rides each year. This will be an interim measure and its life depend on available funds. b) Provision of a ‘gazebo’ to each club – need to know how universal is the need, size, walls etc. before further consideration. c) Toilets and lighting – TEERA provision not practical due to maintenance and transport requirements. Hiring best organised and cost negotiated by clubs. d) Vet payments – best arranged and negotiated by clubs. e) “Special’ rides, e.g. themed rides or promotional/training rides. Very likely that TEERA would financially support such initiatives undertaken by clubs, given proposals in writing. f) Clubs seeking financial support to meet unexpected shortfalls associated with low entry numbers can approach TEERA for assistance. Re.Objective 3 – Reduce the work associated with running a ride – the subject of much discussion, some of which is ongoing. 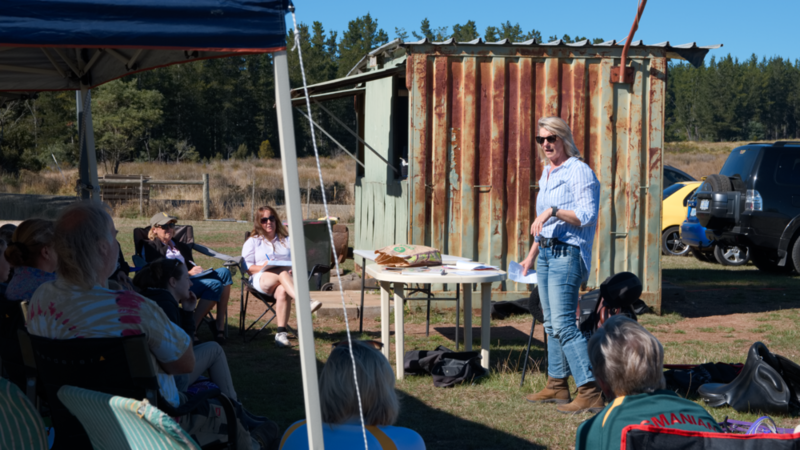 The work associated with organising a ride has increased significantly, including due to greater risk management requirements, land owner demands and biosecurity needs. The introduction of more technology has changed the nature of some of the work, narrowing the pool of volunteers. a) Resolved to provide each club with a set of scales and a clock to avoid having to move from ride to ride. Level of cost assistance to be reviewed when quotes available. b) Trailer to store and transport ride equipment, with potential to equip and use as a ride ‘office’. Much debate on the pros and cons of this proposal, mainly due to the concern about having to arrange for the trailer to be transported between ride sites and/or its ‘home base’. Needs to be considered with the ongoing storage and maintenance of ride equipment, which will need to change before the end of the year recognising the change of SMC members and associated circumstances. This is likely to be a significant cost which needs to be resolved before committing to other expenses. Objective 4 - Improve the sense of member representation. Video conferencing for meetings. The small number of current SMC members who may have the knowledge to organise facilities are fully engaged at meetings. It would require additional resources. Basic telephone conferencing is available and can be arranged, given notice of intention to ‘attend’ a meeting, via the Secretary. If the need arises with the election of a geographically separated SMC, that SMC can organise remote conferencing. Meetings at e.g. Campbell Town. Little support for this proposal due to past experience when group transport arranged from the North West, with considerably greater time involved, then there being minimal attendance from elsewhere. May change with SMC changes. Electronic/postal voting – a commitment has been made to do this in one or more forms. A number of issues need to be considered. a) A ballot is only necessary if there are more nominations than positions to fill. The Rules require that nominations to be made 30 days in advance. This is commonly extended due the lack of nominations. This extension could not be the case, given the set up time for remote voting, whichever method is used. b) There is a small but vocal minority wanting postal voting. This is a costly and resource heavy alternative which will be made available on an individual basis on prior request. c) The current concerns regarding the role of the SMC, and pressure directed at individual members, may determine that SMC members have a broader skill set and meet greater demands. This may make it more difficult to fill positions appropriately. Ride calendar – three weeks between rides where possible. Some ride venues have restricted availability which may determine occasional ‘out of sync’ scheduling. 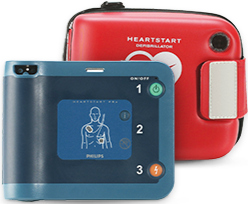 Availability of AED (Automatic External Defibrillator) at rides - Purchased and available. Availability of first-aiders and chainsaw operators – list of qualified people to be established and maintained. Webmaster to organise list. Mentoring program for new riders – felt that the club running a ride was usually short of resources so mentoring needs to be external. Volunteers to be sought and, if suitable, included on a list contactable by clubs. Volunteers to contact the TEERA Secretary. Inclusion of a volunteer availability section on membership form – when this was the case, only two people completed the section. Like the rest of the world, TEERA forms don't stand still. PLEASE DON'T USE OLD FORMS. They make life difficult. There is one source for current forms - this TEERA web site, from the FORMS page. Most, if not all, AERA forms can also be obtained from links on the same page. If you have stocks of forms, please check they are current by comparing with the equivalent one on this site. If not the same, use them for scrap or note paper and download a current form. One of your paper pushing servants.